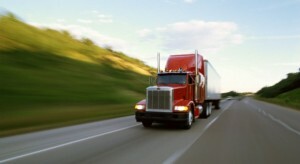 Truckload shipping, called TL for short, is easier with a full-service logistics partner. A good partner can help you find the best carrier with the service you need, create a shipping plan to save you money, and get the shipment booked and on the road. Why look for an asset-based or truckload carrier when we can do it for you? At LTL Freightcenter, our logistics professionals have access to more than 12,000 carriers in our system for flatbed, van, full truckload, partial truckload and more. Years of logistics and shipping experience combined with our carriers allow us to make truckload shipping simple. We apply a strategic approach to arrange your shipment. We plan your load, find the right carrier and coordinate delivery to get it there on time…no matter your urgency. We take care of all the details and let you get back to what you do best – taking care of your customers. Do you need dock-to-dock planning? Or do you simply need a truckload carrier? We encourage you to take advantage of our logistics expertise, but if you need a quote and carrier, we can turn that around fast too. How much of our service you use is entirely up to you. As an industry leader, we know the information a business needs to get your freight shipped. With this knowledge, we make RFPs a turnkey process. We’ll get you the detail and prices you need when you need it. Before you send out an RFP, we encourage you take advantage of our supply chain analysis. This report will give you a full view of your annual logistics expense and deliver insight to reduce the cost of shipping. Many of our customers find this process saves time tied to the RFP. Leverage our experience and resources. Get your TL shipment on the road fast and for a good price. We make finding and booking a carrier simple. To speak with one of our logistics professionals about your full truckload shipment, call us at 281-888-8499 or click here to email us.